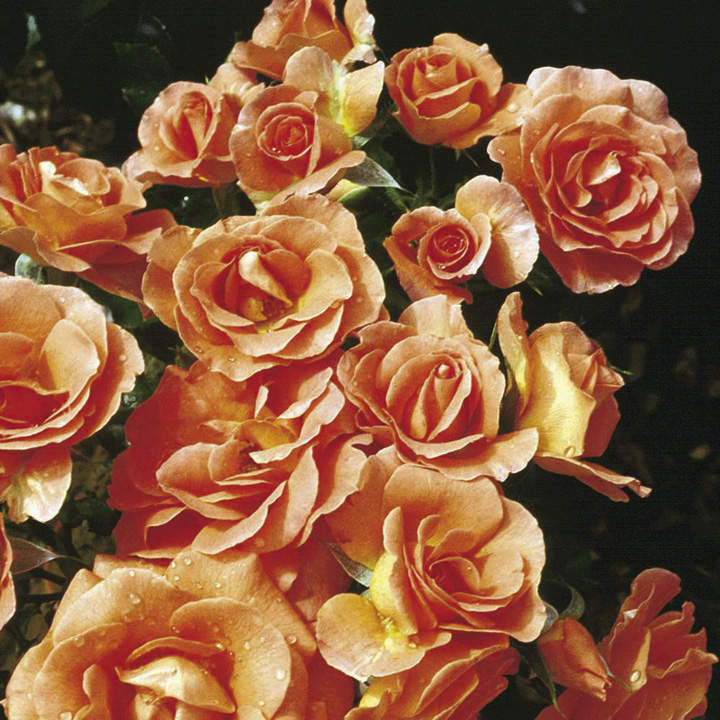 A floribunda variety with elegant blooms borne on excellent plants with leathery foliage. 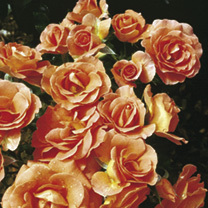 Colour: Apricot. Height 90cm. Scent 7. Bush variety. Ideal for beds and borders, groups and rows. Suitable for cut flowers. Scented. Prefers full sun or partial shade.